If you ever take a look inside your piano, especially models found today, you would see that it is nearly a masterpiece of technology. Every piano is a dynamic arrangement of over nine thousand parts on the low end. Just for comparison, a grand piano that is produced by Steinway easily adds another three thousand parts. That is a ton of moving pieces! As one of the first instruments and one that still holds the title of the king over all the other instruments, pianos, in general, have not evolved much from their initial design. Perhaps that speaks to why they are still so fondly regarded. One variation that has been seen, around the early 1800's, was the upright piano due to space constrictions, as well as a price. Price is more notable later on, as instruments like these were often inherited. It is easy to forget what lies within your upright piano, but it is such a novel design, a vertical one, that can be very interesting to explore. How this instrument employs space saving techniques without sacrificing too much quality, especially on an exceptionally made instrument, is quite interesting. The action is one of the most notable differences between a grand or an upright. In an upright, this is simply referring to how many of the parts are organized, and how they perform. An upright piano is said to have vertical action, because the strings are vertically strung, with the keys and action components mounted alongside them, instead of in front of them. Although most people see the keys of the piano and assume this is the most important piece, this is hardly true at all. That is why, if a string is broken, you won’t hear any sound. 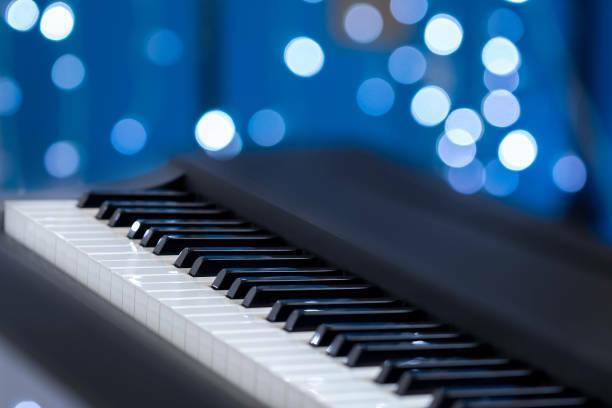 It is the combination of hammer, dampers and the string that are activated by the lever (key) that helps a pianist to produce beautiful music. The hammer on an upright style tends to swing toward the string from a side instead of above, and the damper, which is located just below each hammer on an upright, tends to use a spring to be activated. With four different sizes of uprights being produced today, the biggest difference a pianist will notice is the size of the soundboard and the length of the strings. In a grand piano style, this is the reason that it takes up so much space: The strings are stretched horizontally and require the room to do so. In a vertical style, choosing the full upright which sits at the height of 52 inches or taller, will be able to reproduce to best sound. This is because the strings have the room they need to produce better sound. Uprights are also built in styles of a studio upright at 48 inches tall, a console-style at 42 inches, and a spinet style, the shortest at 36 inches tall. When looking at the build of an upright , you want to seek one out that has properly maintained interiors. Sure, a beautiful exterior will look nice, but how the inside is built, which is crucial concerning the vertical nature for an upright, will determine how useful the piece is as an instrument, not merely a decoration.